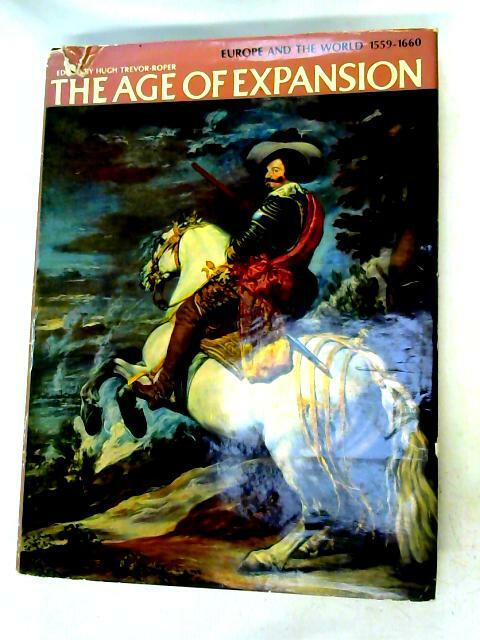 The Age of Expansion. Europe and The World 1559-1660. by Kamen, Henry and Charles Wilson. 1969. 360 pages. Pictorial jacket over black boards with lettering to front board and spine. B&W and colour illustrations and photographs. Firm binding with mild tanning to text pages with mild tanning, water marks to endpapers and text edges. Illustrations and photographs are clean and neat, with light tanning to pages edges. Inscription to front endpaper. Scraps, small bumps and dog ears to text pages edges. Some rubbing to the board edges and wear to the spine ends. One or two marks to front and rear boards. Small bumps to corners with bumps to boards edges. Fair wear to dust jacket with tears, nicks and creases to the spine, edges and corners. The Age of Expansion. Europe and The World 1559-1660. Kamen, Henry and Charles Wilson.